THE Industry Academia Collaboration (IAC) initiative indicates progress in boosting the electrical and electronics (E&E) sector up the value chain, but the industry continues to face core challenges. Industry players, universities and related government entities agree that one main challenge is producing industry-ready graduates, on top of the attrition rate of engineering graduates and the quality of teachers. 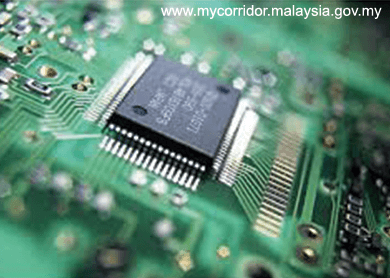 As a major component of Malaysia’s exports (32.8% in 2013) and manufacturing landscape, the E&E sector is a key driver of the country’s economic growth and investments. A drying talent pipeline would result in Malaysia losing out in talent competitiveness, a scenario that could negatively impact the industry and economy in the long run. Hence, this collaboration comes at a pertinent time as the E&E sector has been showing promising growth. As it moves up the value chain, the need for high-quality labour comes in. “Last year, [there was] RM11.1 billion of investment for 96 projects with a potential employment of 16,700 workers. Design and development investment has increased from RM1 billion to RM2.5 billion from 2007 to 2012, and [the number of] design and development engineers increased from 2,000 to 5,500. The trend is very clear,” says executive director of investment ecosystem at Malaysian Investment Development Authority (Mida) Jaswant Singh at a roundtable discussion following the IAC’s launch in Bayan Lepas, Penang. The IAC is a joint effort between Mida, the Ministry of Education and Talent Corporation Malaysia Bhd (TalentCorp). It aims to enhance graduate employability and in the long term, turn the E&E sector into a high-income, value-added industry. Costing RM30 million and funded by TalentCorp, its initiatives will include internship programmes, industrial training, lecture sessions by industry players and short courses. IAC is expected to address Malaysia’s talent pool issues. During the Budget 2015 announcement, the prime minister called upon greater industry-academia collaboration to nurture home-grown Malaysian talent. A World Bank report released last year found that 62% of Malaysian firms faced difficulty in finding talent with the right skills, while 48% of companies identified a lack of talent as a constraint on future growth. Despite negative perceptions regarding the local talent pool, multinational corporations with a local presence, such as Motorola Inc and Altera Corporation, show that they are the exception to the rule. Speaking at the roundtable discussion, Dr Hari Narayanan, managing director of Motorola Solutions Malaysia Sdn Bhd, and Datuk Dr Sofi Abdullah, managing director of Altera Corporation Sdn Bhd, say the bulk of their R&D workforce comprises local graduates. “From our humble beginnings, looking at R&D with two people back in 1976, about half of our 3,300-strong organisation are manufacturing engineers or in R&D. This is a knowledgeable force. We are probably the largest R&D organisation outside the US,” says Hari. At Altera Corporation Sdn Bhd, over 80% of the R&D workforce are local graduates, and Sofi says they are able to maintain their level of competitiveness due to the exposure they receive. On the academia side, initiatives to narrow the theory-to-practical divide include longer-term industry exposure for students and greater emphasis on industry-driven research. Students are typically given three-month stints with a company throughout their four-year degree programme, says Professor Dr Abdul Rahman Mohamed, director of Universiti Sains Malaysia, but this isn’t enough. “[With the collaborative] process now, students can go for industry attachments after their first and second years, and after their third year, they can work on final-year projects with the industry. The industry needs to work closely with the university as soon as the student joins the faculty. “USM is now also going into industry-driven research. We can publish papers, but is there any knowledge from those papers that can be used in the industry?” he asks, differentiating between industry and university-driven research. One university that has been successful at bridging the gap is Universiti Malaysia Perlis (UniMAP). With partners like Silterra Malaysia Sdn Bhd and Motorola, the university has been roping in industry players when it comes to human resource (HR) development, academic curriculum and research. “Some efforts are top down, some are bottom up. People ask why UniMAP focuses on such specialised undergraduate programmes when other universities only offer postgraduate [specialism]. But it’s because we see changes in the industry landscape,” says UniMAP deputy vice-chancellor, research and innovation, Professor Dr Abdul Hamid Adom. UniMAP also helps industry players develop their HR capacities. “For example, we train Agilent Technologies’ technicians to upgrade [their skills]. When you talk about HR development, we do it for our students and the industry,” adds Abdul Hamid. Other panellists at the roundtable discussion included Johan Mahmood Merican, CEO of TalentCorp, Associate Professor Dr Arham Abdullah, director, industry relation division, Ministry of Education, and moderator Hamdan Abdul Majeed, director of Khazanah Nasional Bhd.